Gasum’s subsidiary Skangas has completed construction of Finland’s first liquefied natural gas (LNG) import terminal at Port of Tahkoluoto in Pori. The first load of LNG arrived at the new facility in July 2016. Construction of the €81m ($88.63m) project began in August 2014 and the topping-out ceremony was held in April 2015. The terminal was completed and opened in September 2016. The facility promotes the use of LNG to power ships, instead of fuel oils and liquefied petroleum gases. It also contributes to the security of gas supply in Finland and helps to diversify the energy market in the country. The use of LNG also helps in switching to liquefied biogas (LBG) without the need for new investments. With stringent emission limits expected to be imposed in the future, the terminal helps in reducing shipping emissions and increases the competitiveness of Finland’s export industry. The terminal has an LNG storage capacity of approximately 30,000m³ (15,000t). It includes an LNG tank with a height of 35m and an outer diameter of 42m. The height of the full-containment tank is equivalent to that of a 12-storey building. The inner tank is made of cold-resistant steel, whereas the outer tank is constructed using reinforced concrete. The terminal equipment also include loading docks, compressor and vaporiser facilities for processing, flare torch, three loading docks, a transformer building, a natural gas delivery pipeline, and a heat production unit. The LNG import terminal delivers natural gas through a new pipeline that connects the terminal with the local M20 Industrial Park. The 12km polyethene pipeline has an external diameter of 355mm. Construction of the pipeline, which passes through roads, railways and the seabed, began in early August 2015. A 3.2km section of the pipeline is laid under the sea at a depth of approximately 1m. Trenching and pipe-laying works near the Eteläselkä offshore area presented multiple challenges due to high winds. 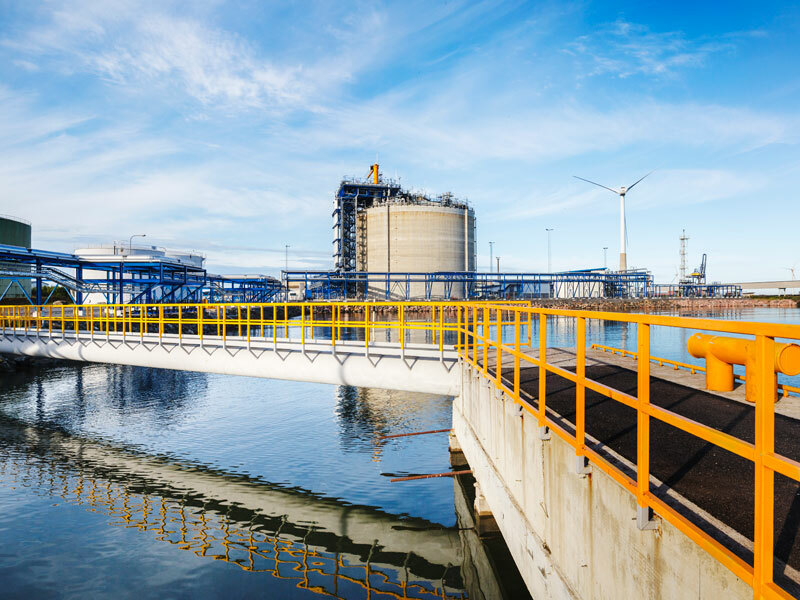 The LNG storage facility supplies liquefied natural gas to industrial, shipping and heavy-duty land transport customers by pipeline, trucks and tanker vessels. 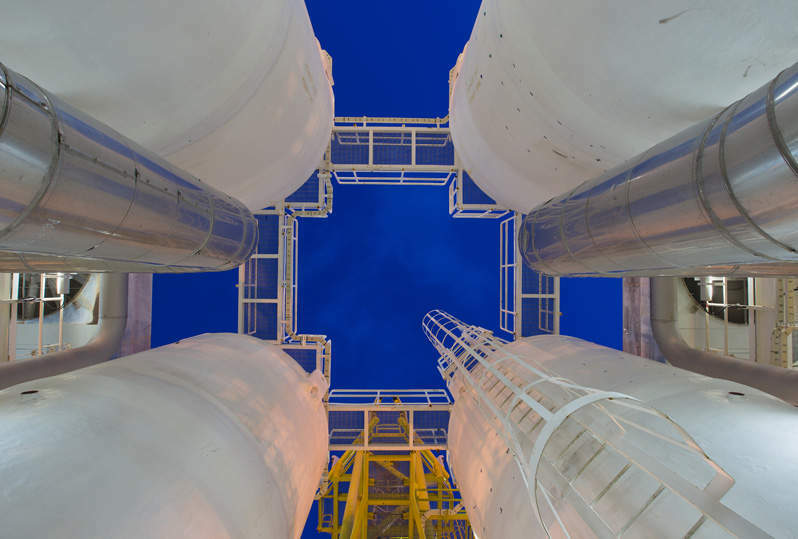 Industrial customers receive the LNG as vapourised gas fed through the pipeline. The main gas users in the Kaanaa industrial park are Huntsman Pigments and Additives, and Porin Prosessivoima. LNG can either be transported by sea in tanker ships, or ships can be refuelled by bunkering at the terminal. Skangas also owns two LNG tanker vessels and operates a fleet of 20 LNG road tankers to transport liquefied natural gas. Neste Jacobs provided the engineering, procurement, construction and project management services for the LNG terminal, while FCC Industrial was responsible for the construction of the LNG tank. FCC subcontracted Grupo Navec Servicios Industriales for the mechanical assembly of the LNG storage tank. "With stringent emission limits expected to be imposed in the future, the terminal helps to reduce shipping emissions and increases the competitiveness of Finland’s export industry." KVL-Tekniikka was awarded the contract to provide site construction and piling works. Destia was subcontracted for the construction of the concrete outer shell of the terminal tank. The company was also involved in pipeline construction and installation. Honeywell was contracted to provide its Experion® Process Knowledge System (PKS) automation controls and tank gauging systems for the LNG import terminal in November 2015. Kone Cranes supplied its EX CXT overhead crane during the construction. Sweco was involved in the civil engineering, design, geotechnics and ground investigations for the LNG pipeline construction. Finland’s Ministry of Employment and the Economy provided €23m ($25.8m) in funding for the terminal project. The European Commission approved the funding under the EU state aid rules in September 2015. Transhield is the leading provider of protective cover solutions to commercial, industrial and military markets.